Ventura Distribution and Adness have announced two new releases. Shadow of the Wraith (from Evil Dead Trap director Tohiharu Ikeda) will be released on July the 25th, and gangland thriller Sleepless Town will be released on August the 22nd. Both will be in widescreen format, in Japanese with English subtitles. 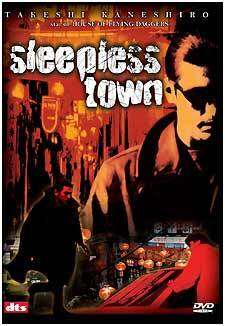 The Sleepless Town disc will apparently have DTS audio, if the pack shot is to be believed. Other technical spec's were not available. RRP for each title is £15.99. BBC Audiobooks have formally announced their July titles. Ross Noble Goes Global - Series 2 presents four episodes of the Radio 4 series of Noble's comedy travelogues. The RRP is £12.99. Eyewitness: The 1980s continues the BBC's tour through modern history, using material culled from the BBC archives (including some never previously broadcast). The new set, which is presented y Tim Pigott-Smith, will cover events including the Falklands war, Live Aid, the Hungerford massacre, and the fall of the Berlin Wall. RRP is £17.99. 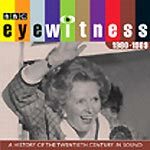 The final disc in the series (Eyewitness: The 1990s) will be released in September. A batch of a dozen Sherlock Holmes disc sets are being released on July the 18th, to commemorate the seventy-fifth anniversary of Sir Arthur Conan Doyle's death (on July the 7th, 1930). These excellent Radio 4 productions, featuring Clive Merrision as Holmes and Michael Williams as Doctor Watson, have previously been available in a CD box set. *The Second Stain is actually the thirteenth story in The Return of Sherlock Holmes, but is included in this volume because of CD duration restraints. These two-disc sets each have an RRP of £17.99. (A much cheaper alternative is to buy the wonderful sixty-four disc box set, which Play,com are selling for £118.99!) Note that Play are still saying that the set comes with a bonus Radio Detectives programme - it doesn't, and never did, but it does still come with a copy of adaptor Bert Coules' excellent book about the series. Also due on July the 18th is The Further Adventures of Sherlock Holmes, a collection of four stories based on passing references in the canonical tales, written by Bert Coules. 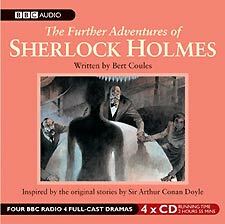 Inexplicably, the second volume of The Further Adventures.. was released on CD first, last June. The new set includes The Madness of Colonel Warburton, The Star of the Adelphi, The Saviour of Cripplegate Square (which features Tom Baker) and The Singular Inheritance of Miss Gloria Watson. The RRP is £17.99. Zeta Minor contributor Mike Hadfield has written a terrific review of the new seven-disc CD / DVD box set of Jeff Wayne's Musical Version of The War of The Worlds, which has just been released by Sony/BMG. The album has been completely re-mastered from scratch, from more than seventy 48-track master tapes. If the seven-disc edition seems like overkill, there's also a straightforward two-disc dual-format SACD / CD version available, which features the album's new mix. Click on the album sleeve, left, or here to read Mike's review. The Incoming page has been updated. I've checked that the titles listed as coming out today are still expected today. A few, including a handful of Network titles, have been delayed, so if you were planning a special journey to pick something up, you're advised to check!